Guests at the Sankofa: Black History Month 2018 Banquet at Missouri State University. February is Black History Month in America. It’s an occasion to remember and celebrate the contributions of Black people to our country and the world. It’s also an occasion to shed light on history that’s not always mentioned or often overlooked. Yvania Garcia-Pusateri, executive director of multicultural programs at Missouri State University, and Nia Morgan, multicultural programs graduate assistant, share more about Black History Month and how it will be celebrated on campus. For further details, including a full list of events, visit the multicultural programs' website. Celebrations of black Americans’ culture, history and accomplishments are underway at Missouri State University. 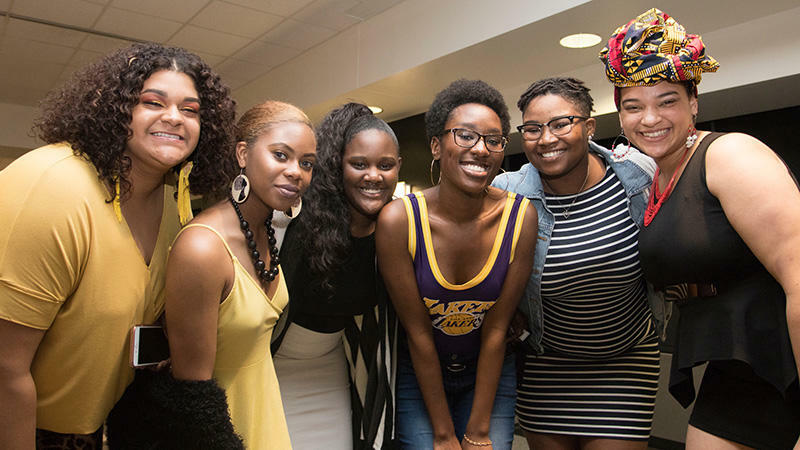 Black History Month, traditionally celebrated during the month of February in the U.S., started with a Black History Month Kickoff event on Feb. 1 at Missouri State University. Yvania Garcia-Pusateri, executive director for MSU Multicultural Programs, said Black History month is focused on learning about and appreciating the contributions of African Americans that we may not have learned about in school.